#1 INTESTINE SUPPORT SUPPLEMENT - The formula you loved is finally back! 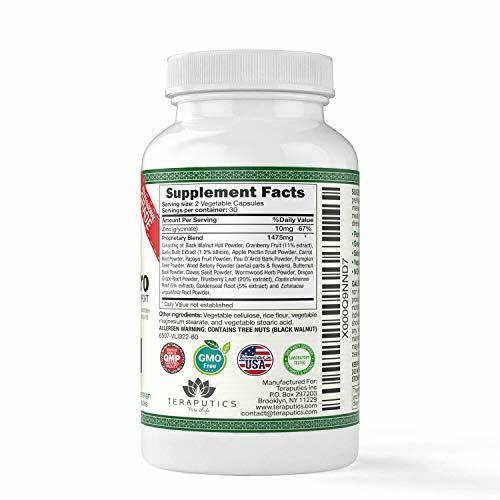 Thousands of customers agree that our intestine dietary supplement is the most effective one. 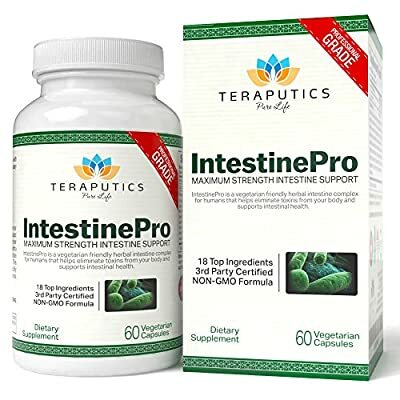 Teraputics is known as THE leading brand of intestine complex formulas. This is because the only thing we care about is the quality and potency of our ingredients. Many of our customers have great things to say! 18 PREMIUM INGREDIENTS - 1485MG - Cranberry Fruit (11% extract), Garlic Blub Extract (1.2% allicin), Black Walnut Hull Powder, Apple Pectin Fruit Powder, Carrot Root Powder, Papaya Fruit Powder, Pau D' Arco Bark Powder, Pumpkin Seed Powder, Wood Betony Powder, Butternut Bark Powder, Cloves Seed Powder, Wormwood Herb Powder, Oregon Grape Root Powder, Blueberry Leaf (20% exract), Coptis chinensis Root (5% extract), Goldenseal Root (5% extract), Echinacea Angustifolia Root Powder, and Zinc. MAXIMUM STRENGTH BUT GENTLE ON YOU - This product is meant to be taken for 10 days only. 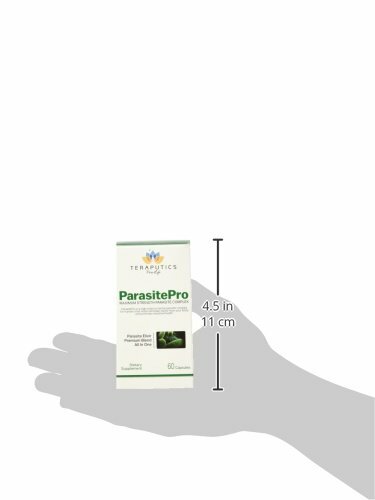 2 capsules of IntestinePro must be taken with meals 3 times daily. If you want to try the product again we ask that you wait 2 weeks before doing so. Customers that followed these instructions experienced the most effective results. ONLY THE BEST FROM TERAPUTICS - All of our ingredients are perfectly formulated in FDA-registered, GMP compliant facilities, subjected to stringent third party purity testing, and made right here in the USA. Our IntestinePro formula is of the highest quality making it a preferred alternative to other products that carry undesired side effects. 100% MONEY BACK GUARANTEE - If for any reason you are not satisfied with this formula you can get a full refund with no questions asked. Our customers MUST be satisfied. 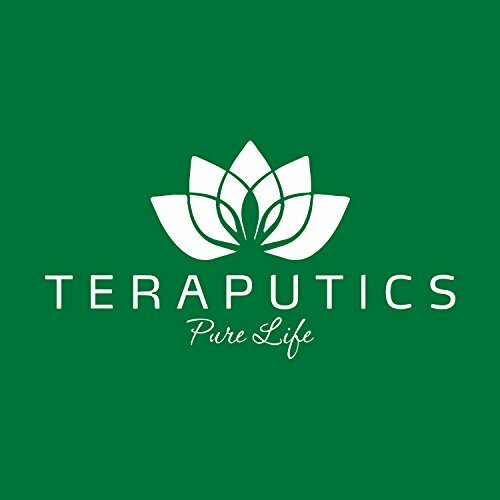 Also, with every Teraputics purchase our customers gain access to our team of highly trained service professionals available to help with questions about any of our health products.